This is a view of the yards looking west. DENVER — The billion-dollar redevelopment of the aging National Western Complex into the new National Western Center is kicking into high gear. At 10 a.m. Nov. 1 at the Stadium Arena on the grounds of National Western, the Honoring the Legacy campaign, supporting key facets of this historic redevelopment, celebrated its first major milestone: Campaign Chairman Pete Coors presented Denver Mayor Michael B. Hancock with a $15 million check to support the creation of the National Western Stock show's new home — and much more — for the next century. Longtime Denver news personality and weatherman Ed Greene emceed the event. 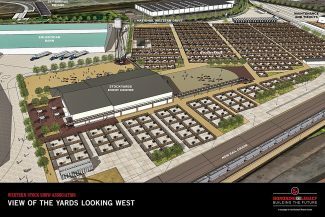 "This $15 million commitment is helping make the future National Western Center, and the benefits it will bring to the residents there today and neighborhoods around it, a reality," Mayor Hancock said. "The success of the center depends on the success of the stock show's capital campaign, and I'm thrilled with their early success and look very forward to bringing the NWC plans to life alongside our partners at the Western Stock Show Association and Colorado State University. "It's an honor and a pleasure to support a once-in-a-lifetime opportunity to provide the National Western with a home as great as its storied legacy," Coors said. 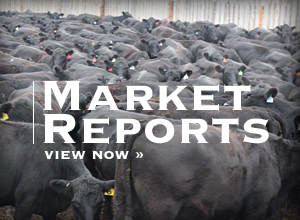 "The response to National Western's first-ever capital campaign has been overwhelming — to the point that we're looking to close in on $50 million in gifts and pledges by the end of the 2019 stock show." 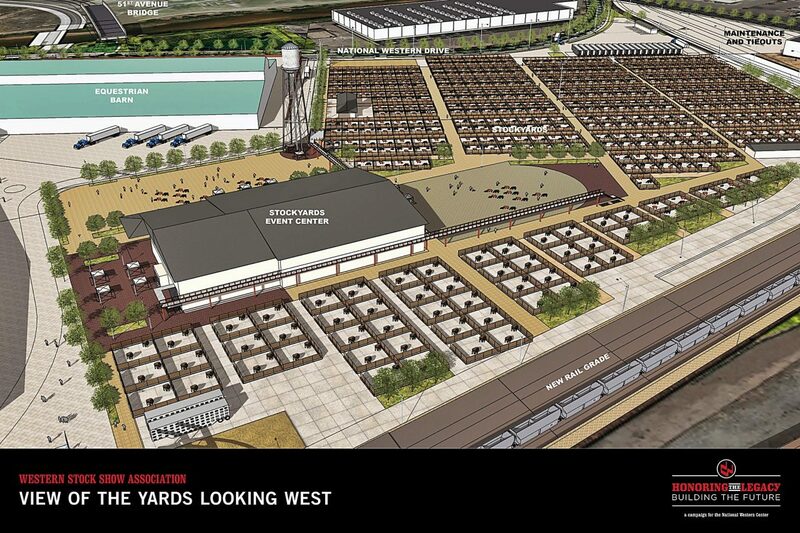 The campaign is helping to fund the National Western Center's most prominent facilities, including, the Stockyards & Stockyard Events Center; the Livestock Center, the Equestrian Center and the Legacy Building (the new home and focal point of the National Western Stock Show). "This $15 million investment is the first milestone — and a major one — in this campaign," said Western Stock Show Association CEO Paul Andrews. "It shows not only our rock-solid commitment to the future National Western Center, but also the conviction of many generous donors that this is a vital investment in Denver and the West." 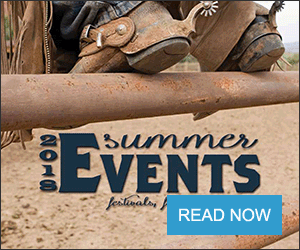 This ambitious project is creating a new, year-round destination in Denver that brings together agriculture, education, entertainment and outdoor recreation while also honoring the century-plus history of the National Western Stock Show. The new center will add six acres of riverfront and other open spaces that enhance the adjacent Globeville, Elyria and Swansea neighborhoods. A new National Western light rail station will provide easy access to and from downtown Denver and points beyond. NWC Phases 1 and 2 investment is projected to bring 1.1 million additional visitors to the site based on 100 additional annual events, with a $100 million estimated increase in visitor spending and 1,500 estimated new local jobs in service and hospitality. Partners Colorado State University, The Denver Museum of Nature & Science and History Colorado will provide extensive research and educational programming. It's the first payment of what will, by March 2020, amount to $50 million in cash to be paid by the Western Stock Show Association, which oversees the stock show, to the city and county of Denver. That cash, plus the transfer of $75 million in land, will account for the WSSA's $125 million share of the National Western redevelopment. The city of Denver is contributing $669 million — most of that coming from proceeds of a successful 2015 ballot measure — to the National Western Center through the first two of eight planned development phases.